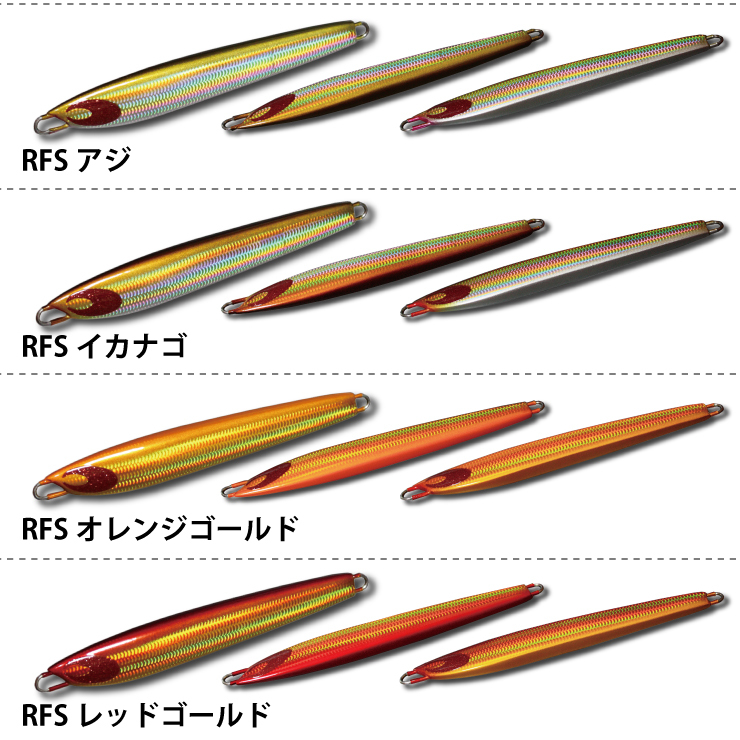 Retrieve from slow to farst need to swing a tail with wave back and forth. 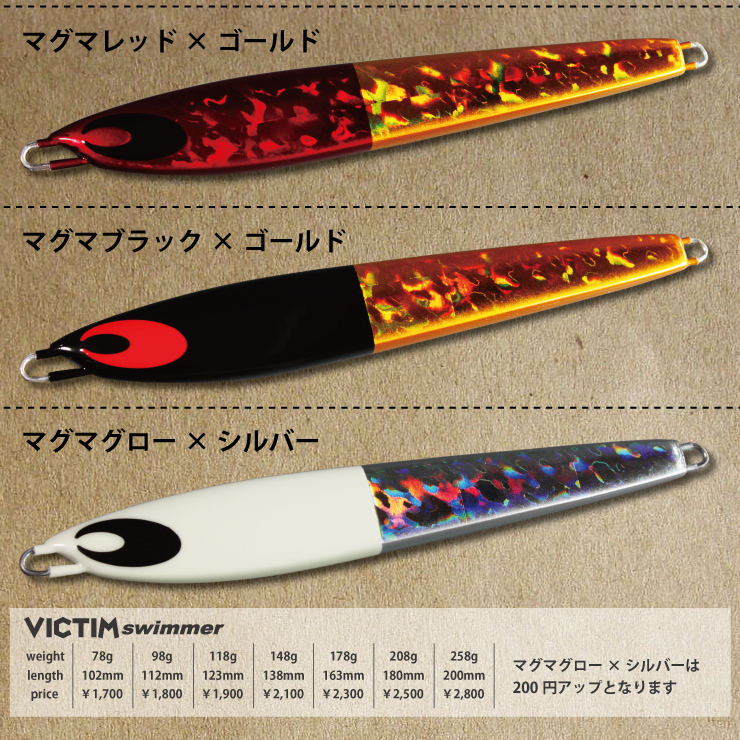 If you jerk crisply, you can stage to look as if a small fish which run about trying to escape with repeating a carnivorous fish.Falling which action of movement to throw a device, fish-eater will bite a powerfully active inducement (for baiting a trap) . 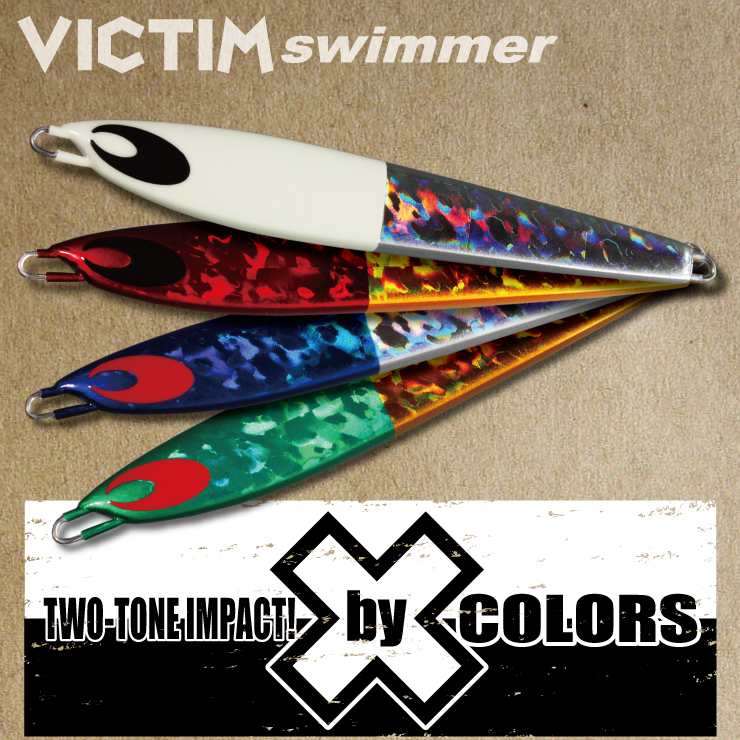 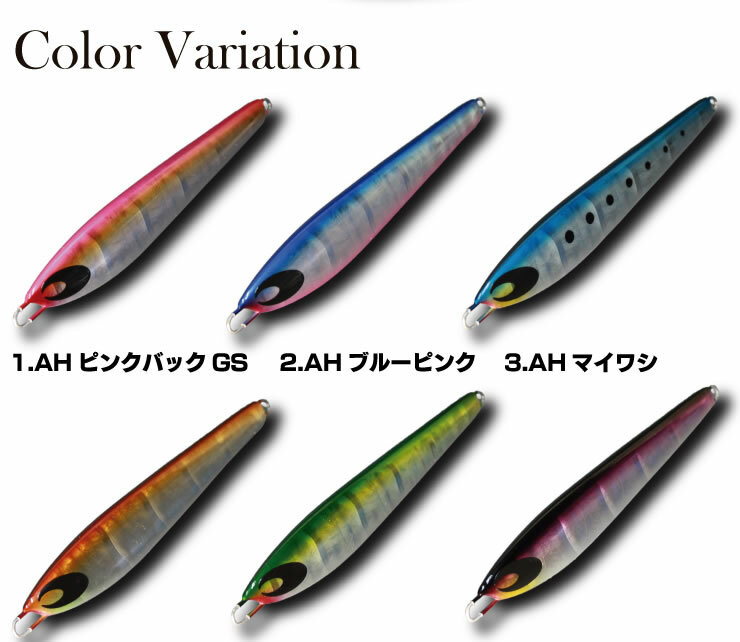 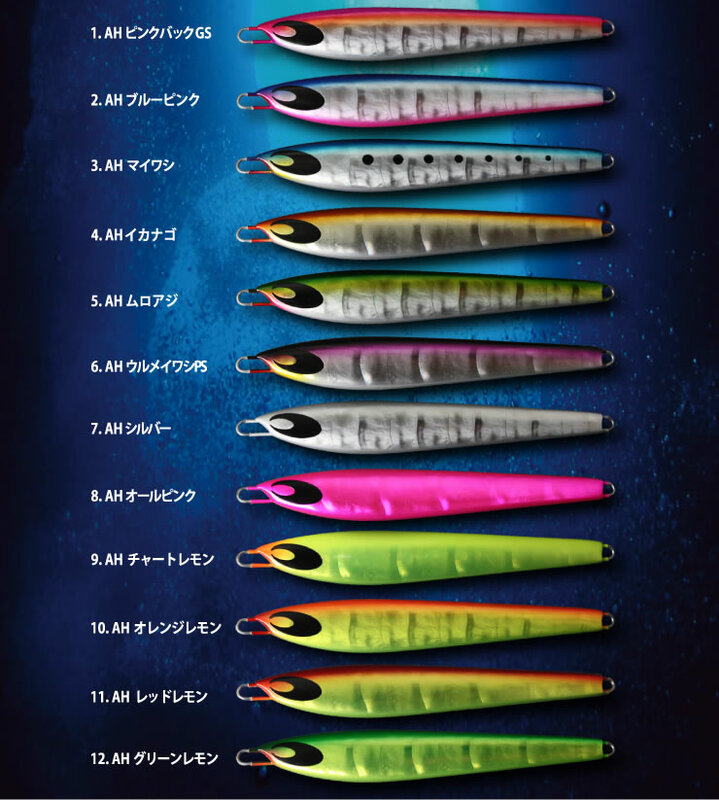 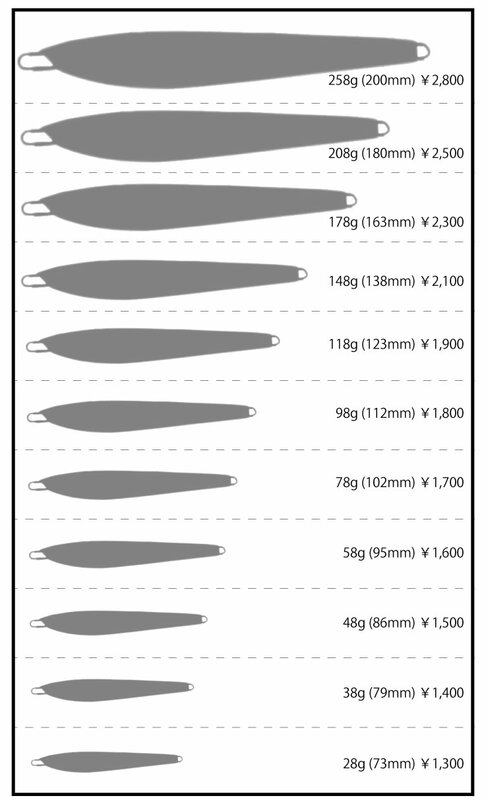 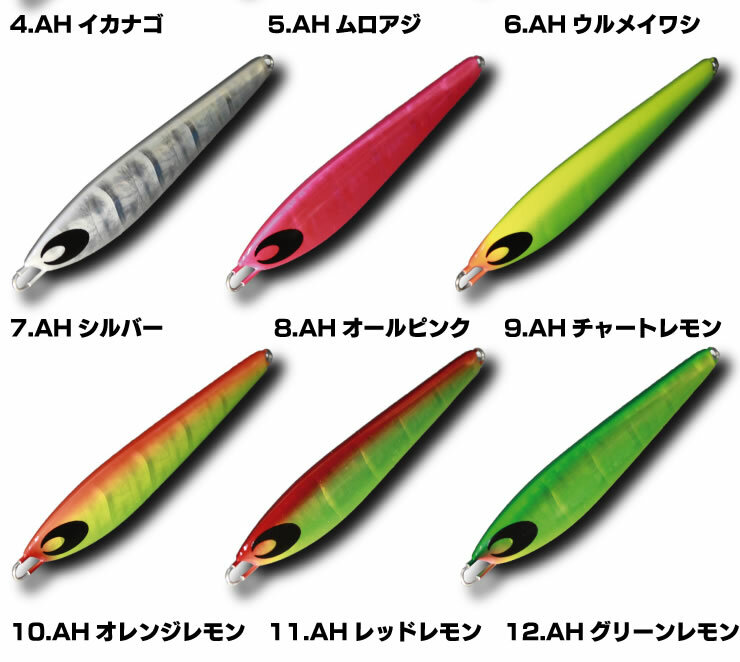 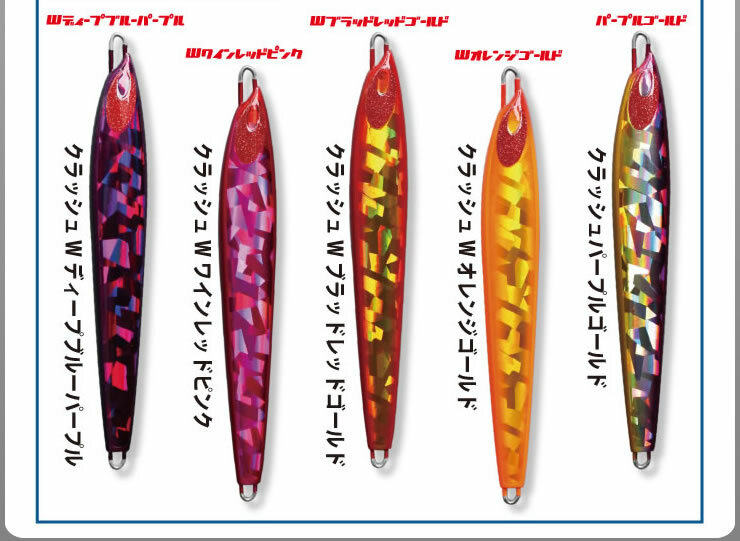 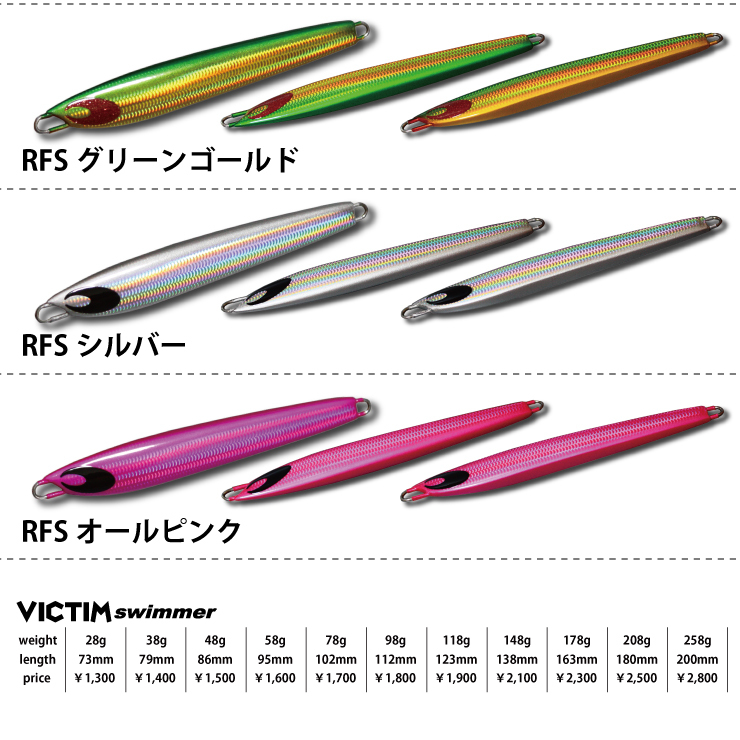 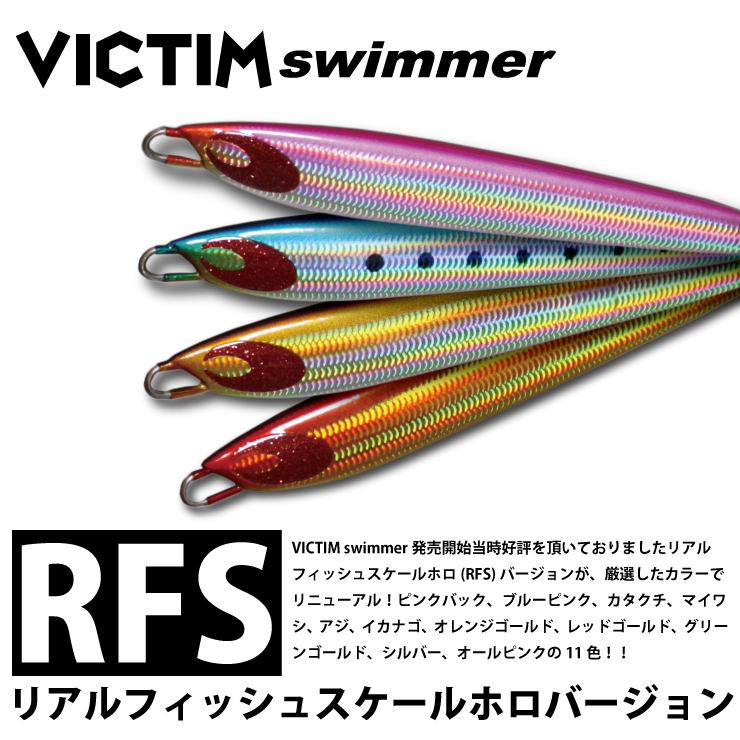 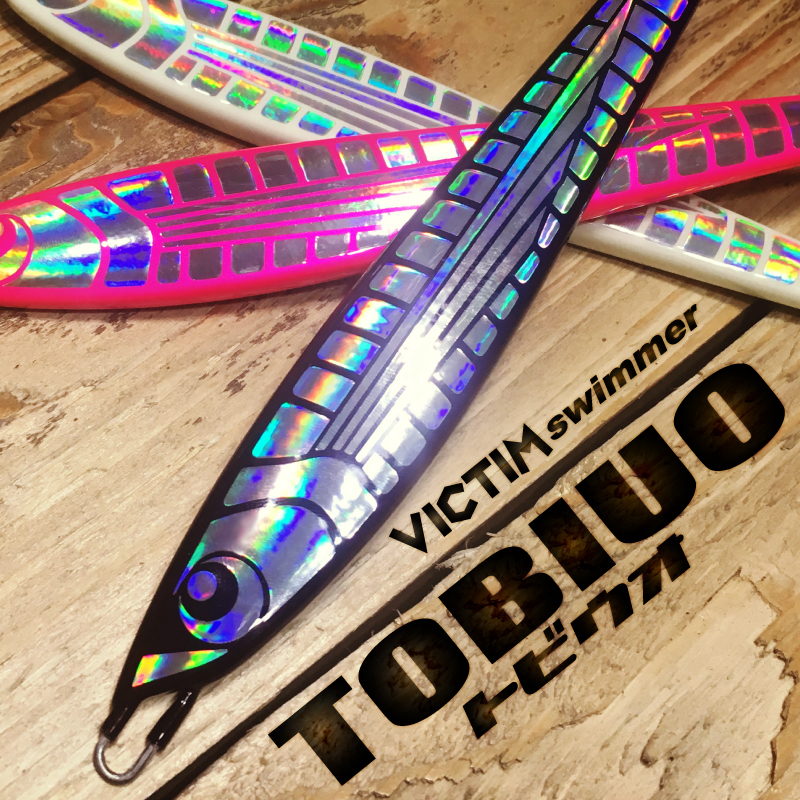 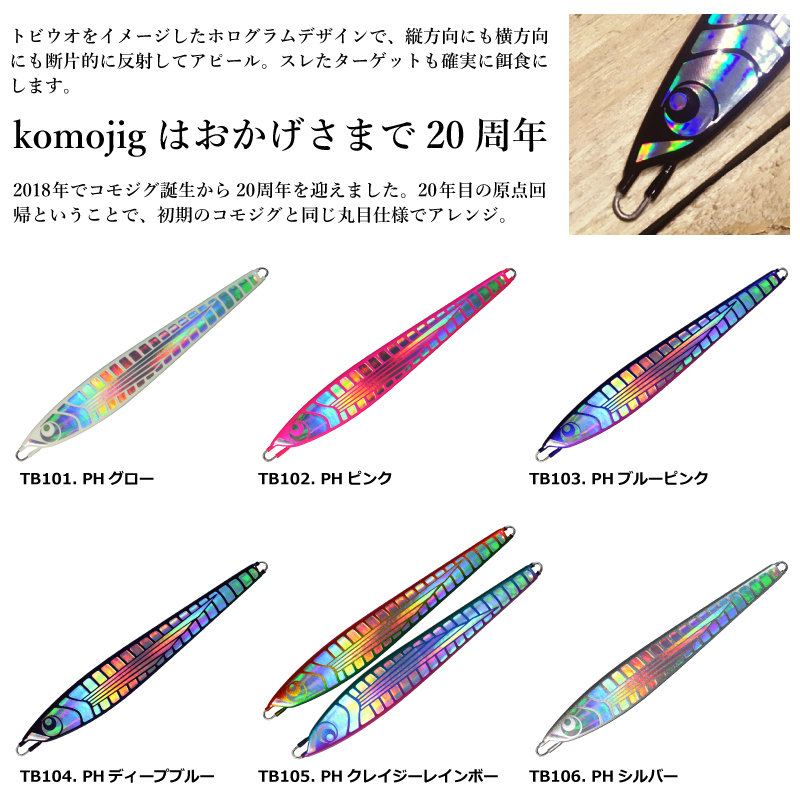 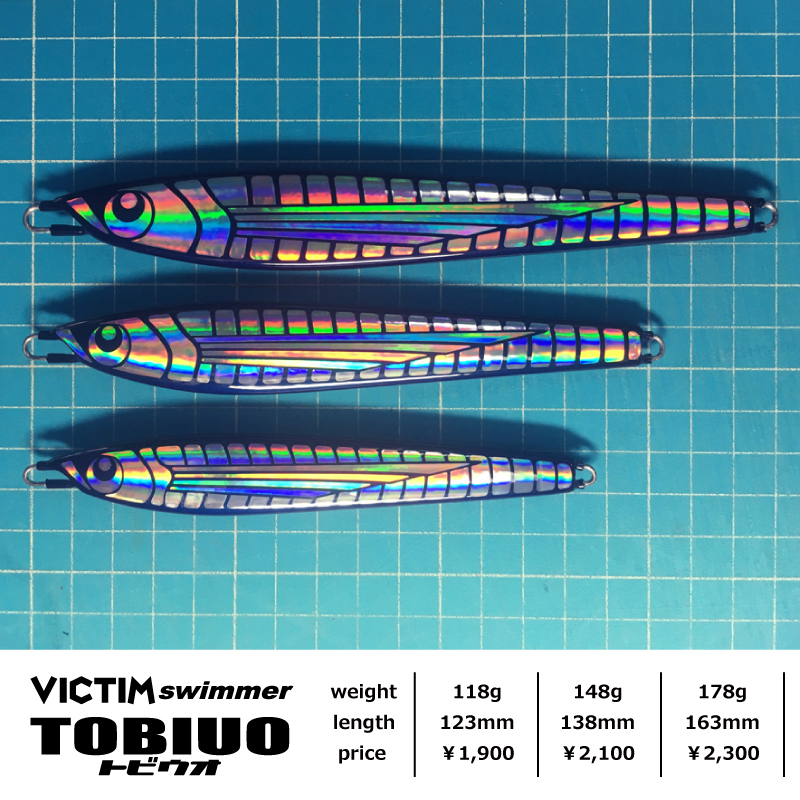 The slide-action from Hirauchi to Rolling will come up with an act of a groggy weak bait.You will be able to have the Jig VICTIM Swimmer wrapped around your little finger and will be able to get the target!! 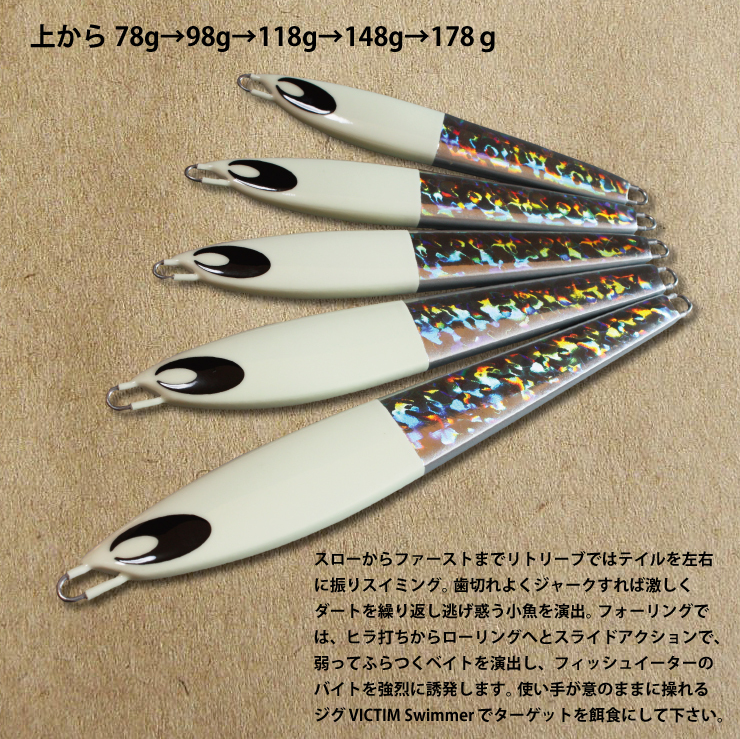 It is rolling up reel for lure which carried out the cross cast and you need to have a different kind of technique for entice fishes away, like dead slow, first retrieve, stop-and-go and etc for fishes which has change a reaction with the speed rolled in lure fishing. 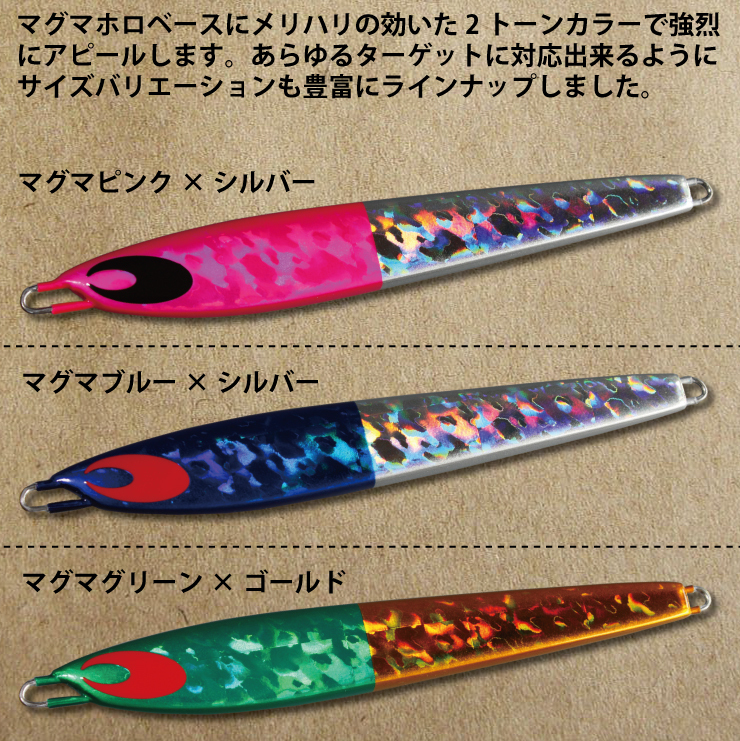 When lure hit an obstacle, It will lose balance and become an irregular movement. 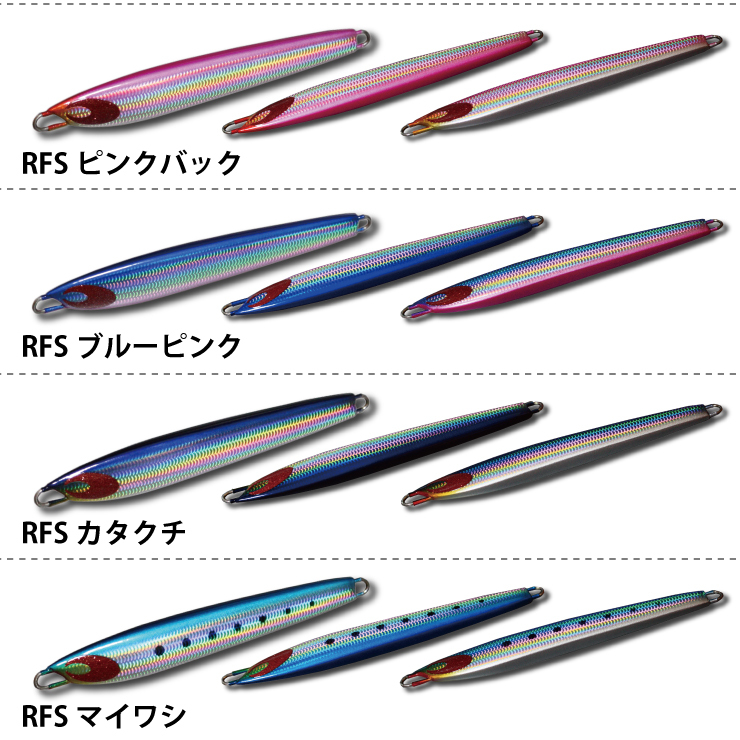 Also, Fishes seems like swimming returning the body to the right and the left. 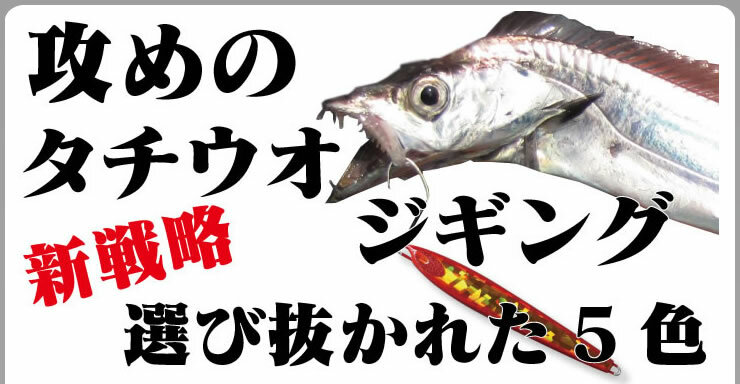 Copyright (C) KOMO All rights reserved.